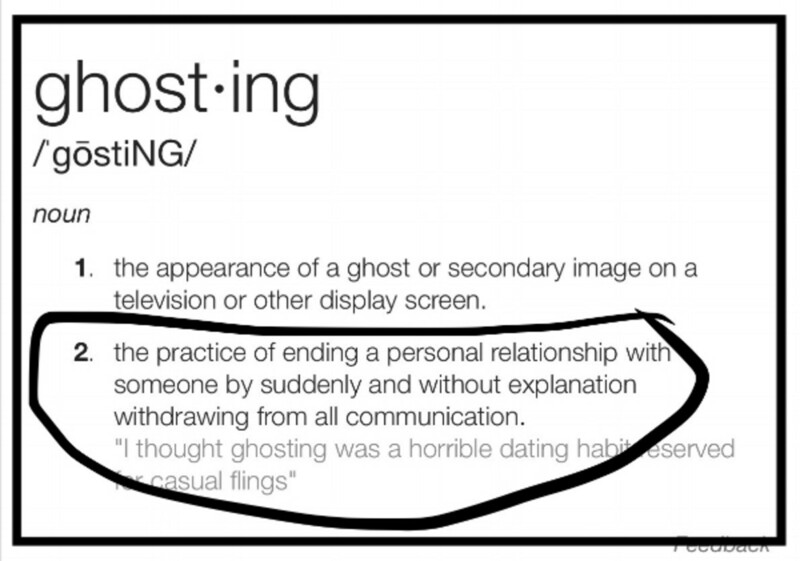 "Ghosting" is when someone you think cares about you, a friend or a romantic partner stops having any and all contact with you without giving you any reason at all as to why. The act of ghosting does not strictly apply to romantic relationships but also applies to platonic friendships. They do not explain anything. The person just "disappears" and refuses to maintain any kind of contact. Ghosting is an avoidance behavior that many times stems from a fear of conflict. Only people with extremely poor character used to do this behavior. However, with the advancement of the internet, dating sites, and social networking sites this type of behavior is becoming all the more common. The emotional damage and effects it does to people is severe despite how common it is. The reason people "ghost" others is because they want to avoid having an awkward conversation or any emotional discomfort that may go on within themselves. They are not at all concerned with how it makes the other person feel. Many times it is done through the internet whether it be done through a dating site or a social networking site making so that the social consequences of just all together disappearing are much less severe than if they saw the person face to face every day. Research has shown that once someone has been ghosted, that person is likely to repeat the same pattern of behavior and ghost someone else. So, the negative behavioral pattern grows. That is, it grows and spreads. More and more people suffer the consequences. Looking through the lens of a coward, passive withdrawal from dating seems like the nicest and easiest way out; until it is done to you." Research has been done on relationships that revealed ghosting is the worst way to end a relationship. In fact, that behavior often leads to even bigger confrontations down the road. When people are ghosted, they often feel disrespected, used, and disposable. If the person was ghosted by someone they knew longer than just a few dates, the level of trauma the person feels is increased. Often people find that being treated that way is a deep betrayal. 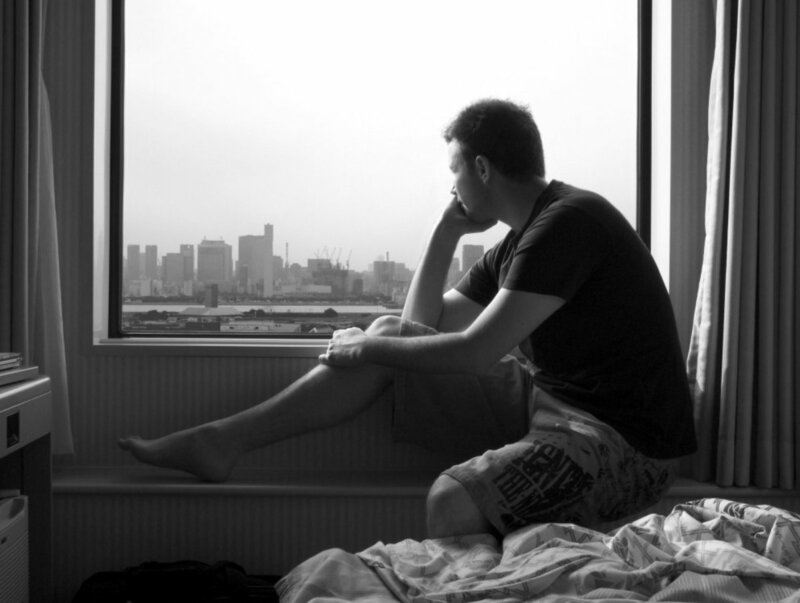 Being socially rejected, the same as being given "the silent treatment" ultimately activates the same pathways in the brain that are activated when someone is experiencing physical pain. It has been scientifically proven you can lessen the emotional pain by taking Tylenol. It still felt a bit like someone had punched me in the gut when it happened. The disregard is insulting. The lack of closure is maddening. You move on, but not before your self esteem takes a hit. The only thing worse than being broken up with is realizing that someone didn't think you were worth breaking up with." Other then the pain receptors in the brain being activated, there are other factors that lead to someone's psychological distress after being ghosted. It leaves the person not knowing what is going on. They may think a ton of different thoughts like the other person is ill and might be in a hospital, the other person is angry for the time but will eventually return my messages, or possibly the person is just busy with work and will return my messages and call me again. The person does not know how to react because since there is no communication they do not know what is going on. The human brain has evolved to have a social monitoring system that the brain uses to monitor the environment and look for cues that let the person know how to respond and regulate their behavior per social situation. When someone is ghosted, there are no cues and it makes the person feel totally out of control. When someone is rejected, that person's self esteem really plummets. 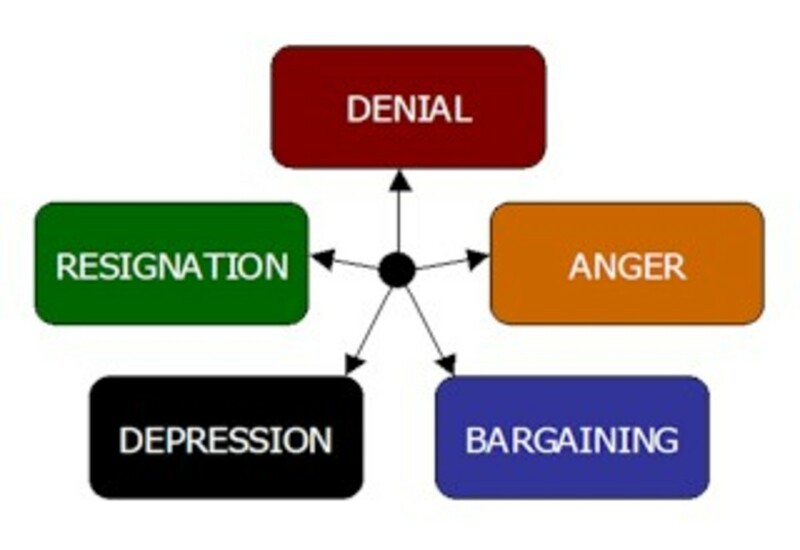 If the person who has been ghosted already had low self esteem or was rejected previously in life, the rejection can be all the more devastating and it takes the person much longer to get over it due to the fact that many people who already have low self esteem possess less natural opiod (pain-killer) that gets released into the brain. Sometimes ghosting is referred to as "the ultimate form of the silent treatment" which is a form of abuse mental health professionals view as a form of emotional cruelty. It leaves the person in a powerless state with no ability to ask questions and get information that would allow him to have the ability to emotionally process the experience. The person being ghosted does not have the ability to explain his or her emotions and have them be heard which is important for maintaining self esteem. In conclusion, the person doing the ghosting hopes that the other person "gets the hint" and just stops trying to make contact . However, rarely does this ever happen. The reason it is done is it serves the purpose of the one doing the ghosting by having that person avoid feeling awkward and uncomfortable and really has nothing to do with taking the other person's feelings into account. Ghosting is a very cruel social phenomenon that has gotten worse with the advancement of technology. Regardless of the ghoster’s intent, ghosting is a passive-aggressive dating tactic that can leave psychological bruises and scars. Your disappearing act is probably saying far more than you're intending it to. 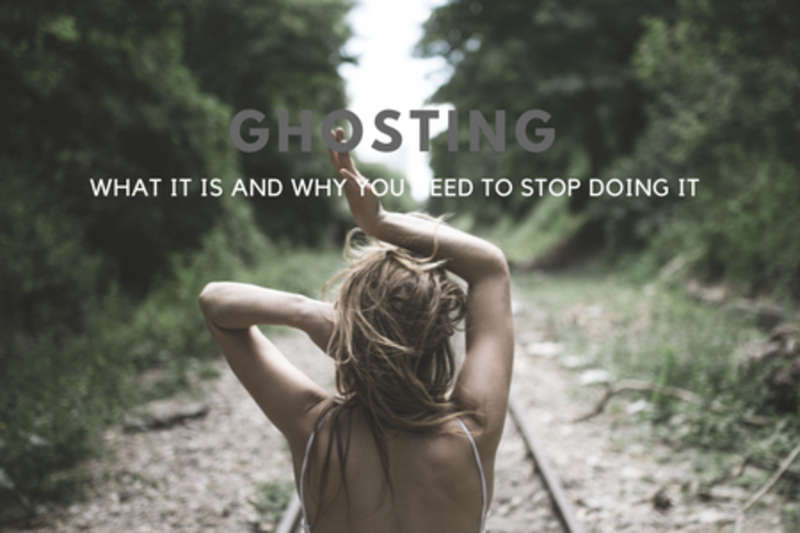 This is a very in-depth look at ghosting. I'm so glad I found someone before this became "a thing." 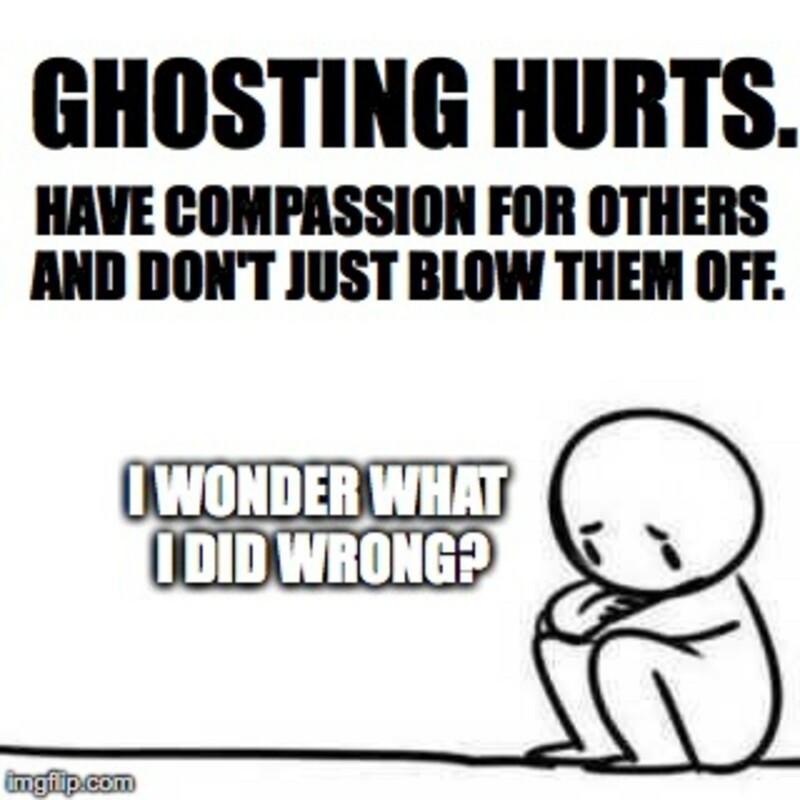 For something so immature and rude, ghosting really does its damage. Thanks for addressing it.